Approximately one in ten of all UK citizens will move overseas to become expatriates, both permanently and temporarily. People who do move out of the country must manage their finances in a way that will enable them to enjoy a comfortable retirement using their savings and income. Qualifying Recognised Overseas Pensions Schemes are HMRC approved pensions schemes that allow your pension to be transferred overseas, providing you are living away from the UK, or intend to leave in the near future. Throughout the financial world there are a number of overseas pensions schemes available, when taking out a QROPS you must ensure it is recognised by HMRC. A list of all UK-transferable QROPS can be found at the HMRC website. Almost all UK pension funds are transferable into a QROPS apart from the Government state pension. If you have numerous pension you can consolidate these funds into one QROPS and thus reduce admin work/cost. A QROPS can bring many tax advantages. You will be taxed at the rate of your new country and not those of the UK, also you will be able to avoid UK inheritance tax, amongst other bonuses. QROPS gives the policyholder a certain degree of freedom as an investor. If you have investments you will be able to self manage your portfolio, keeping whichever investments you feel work best. With a QROPS you also cast aside the need for purchasing an annuity. With a UK pension you are required to purchase an annuity, and that is where your income will come from. 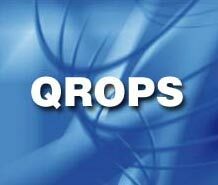 With a QROPS you can also pass on the remainder of the fund when you die to a named beneficiary. For the British expat there is much to gain from taking out a QROPS. Find out more by talking to a recommended financial adviser.